Bengaluru (Karnataka) [India] March 21 (ANI/NewsVoir): Holi is a festival of food, friends, colours and limitless merriment. With the onset of this vibrant and exhilarating festival, it is imperative that you take care of your skin and hair. Often the colours and constituents used while playing Holi can set deep into your skin and hair owing to the direct contact of these chemicals. To tackle this, The Den Bengaluru has brought together a list of therapies that are sure to detox your skin and hair inside out! Lime Leaf & Natural Honey Salt Body Scrub-30 Min: Revitalizes and cleans your skin with minerals and vitamins. It cleanses and exfoliates your skin as it is rich in anti-oxidants and vitamins C and E respectively. Scalp Massage & Wash - 30 Min: A nourishing scalp massage for deep relaxation, unwinding, and de-stressing therapy. Designer Lift Facial - 60 Min: A facial, which cleanses, pampers & rejuvenates the skin which makes it look healthy and supple. The Den also offers On-The-Go treatments inclusive of a wide range of massages for neck, feet, scalp and eye. 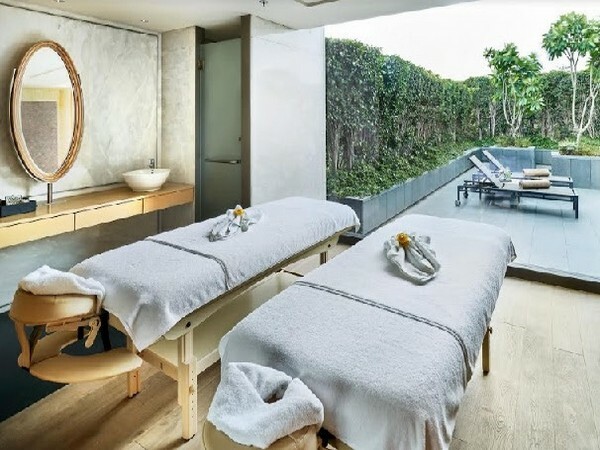 The spa also offers the basic salon treatments for anyone who needs a quick pampering session like manicure, pedicure and other beauty treatments. So, what are you waiting for? Go ahead and book your next spa date before the Holi season ends!